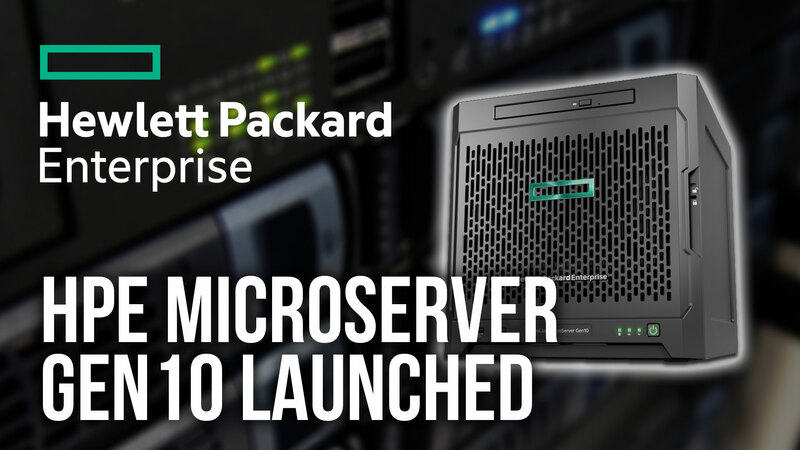 After much build up and fanfare, Windows Server 2016 has now been officially launched. 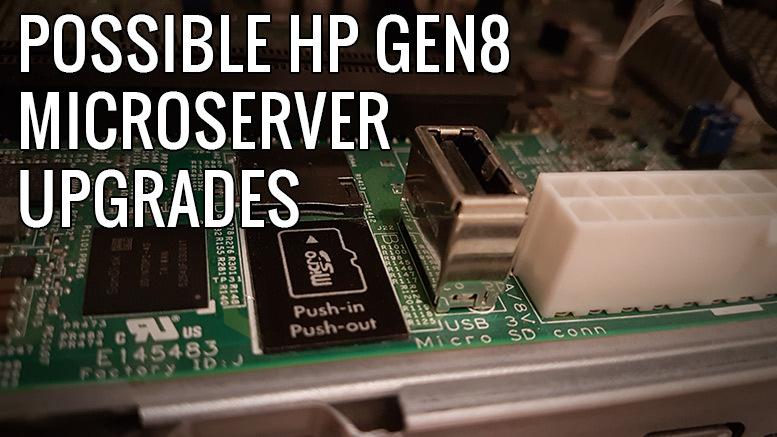 I’d planned on creating a test VM on my HP Microserver Gen8 but its puny Celeron CPU just doesn’t have the grunt that I need to be able to play around with Server 2016 properly. I’d also considered installing to a virtual machine on my MacMini that is currently running ESXi. As ESXi runs directly off of a pen drive the local disk isn’t being used for storage. This created the possibility of simply removing the USB pen drive from the Mac and installing Server 2016 directly on the local disk. When I want to run my homelab/test environment I can simply plug the USB back in an then boot back into ESXi as normal. Note: My MacMini has been though a few hardware changes since I’ve had it – the SSD and half the memory are now in another system for the time being, so the MacMini is back to its stock setup with 4GB RAM and a 500GB laptop HDD. 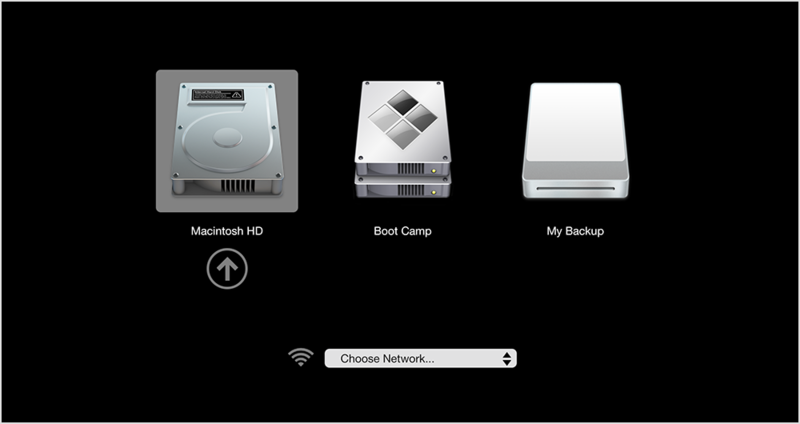 I’ve checked and bootcamp supports Windows 10 on the 2012 model Mac Mini so in theory Server 2016 should work as well. The media i’m using for this install is the Microsoft Windows Server 2016 Evaluation ISO from the Microsoft Evaluation Center. 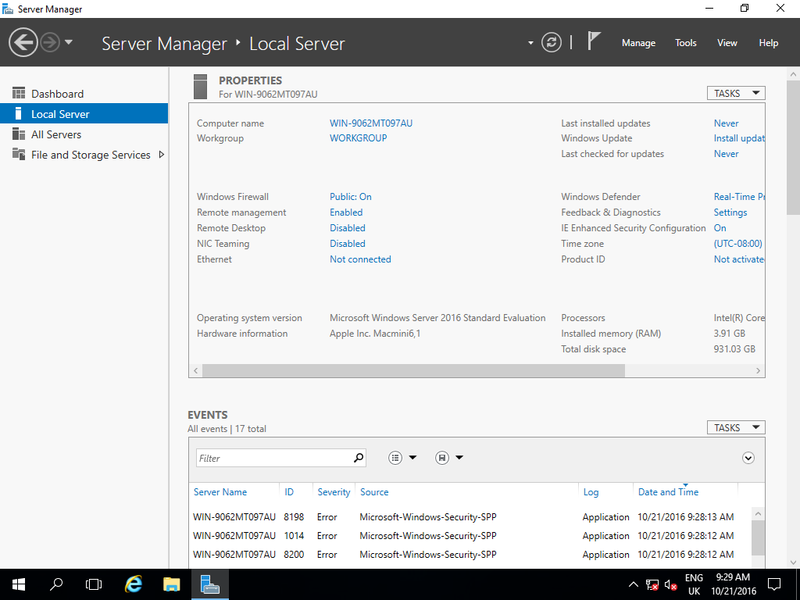 Microsoft have also made Server 2016 available as a Nano Server, a Virtual Lab and as an Azure install. Because i’m using my Zalman for the install, I dropped the ISO into the _ISOs directory on the drive, renaming it to Windows Server 2016 Eval to make it easy to find later. As with most Mac Windows installs, theres no BIOS settings to change – simply plug in your USB drive, external DVD drive or in my case my Zalman, switch on and hold down the Option key to get to the boot menu..
To boot from the install media, simply use the left and right arrow keys to select the correct choice, then hit enter. The standard “Press any key to boot from install media..” message will appear, hit any key to boot from your media. You can now follow the prompts to install Windows 2016 like any previous version. Rather than go thought the individual steps that you have probably seen countless times before over many iterations of Windows i’ve created a YouTube video showing the install procedure from start to finish. I’ve created it using Hyper-V but the process is identical for the MacMini. The install went without a hitch and completed in a few minutes. After logging in I got the standard Server Manager dialogue box. 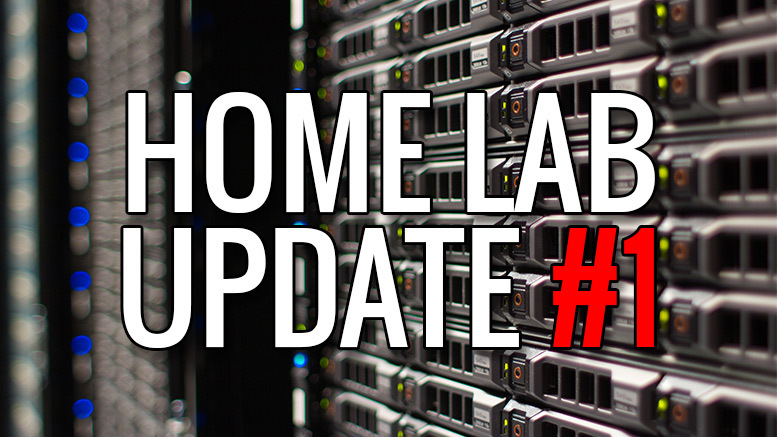 All the core hardware is there and being reported correctly. I think i’ll just let Windows Update run overnight and hopefully it’ll find the missing drivers automatically. The bonus is that its found the Gigabit Ethernet out of the box, so I can get on with having a play around with the system. None of the missing drivers are what I would consider urgent. The whole process of installing 2016 on a Mac Mini was straightforward with no hidden storage driver gotchas like on my HP ML10 v2. In fact, it was no different from installing Server 2012 R2. The fact that it installs with such little trouble further raises the profile of the MacMini as a homelab server. Its small size and noise, its good looks and the flexibility of OS choices mean that its hard to beat. 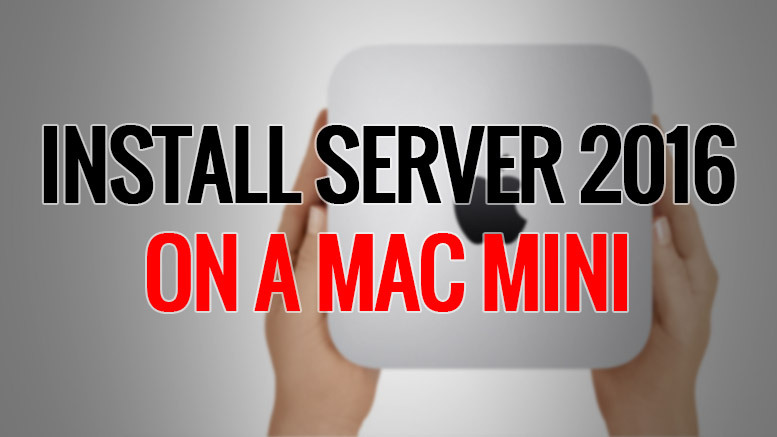 7 Comments on "Install Windows Server 2016 on a Mac Mini"
Have you managed to find the Drivers for the missing Hardware? To be honest, I’ve not really looked much further into it. I figured that as the missing hardware was likely Bluetooth, WiFi or sound driver related that the lack of them wouldn’t impact the running of the server on a day to day basis. If the machine was an actual server running in a production environment this would be a priority, but in my little homelab environment i’m not overly fussed. How did you enter control ald delete to login? I use a standard Windows keyboard for my installs as it removes these little quirks.. if you are using a Mac keyboard, then should get you the same result. Hi Gary, I have a 2011 Mac min server 2011. Do you think I can follow the same process. I installed 16Gb ram and a and ssd for the Apple sw and it runs really well. I would like to install windows 2016 essentials with an sql db. In my experience there not a lot of difference between the 2011 and 2012 MacMini so 2016 should install fine on your device. 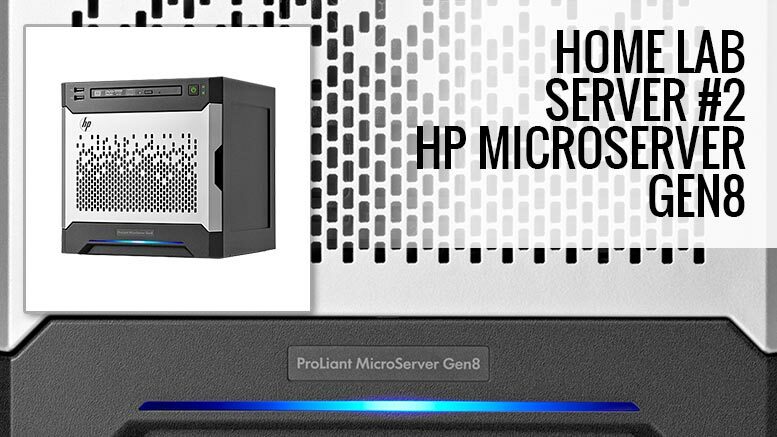 With 16GB and an SSD you have a great little server on your hands, especially running 2016. Good luck with the install and let me know how you get on! 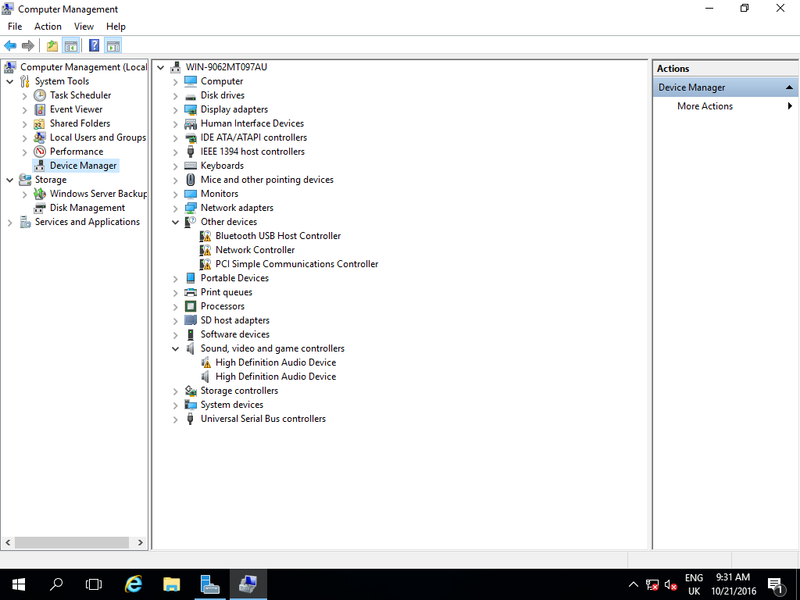 I have tried to add the windows 10 drivers, downloaded the install iso from two different sources, tried using a windows keyboard and mouse. Neither worked. The installation will not pass the “Load driver” step. From what I understand Gary, you didn’t actually install this successfully on the MacMini? Only on a VM?